Of all the cancers that one could fall victim to, lung cancer remains the most “popular” worldwide. While both sexes are susceptible to this disease, men especially are consistently diagnosed in higher numbers compared to women, probably as a result of there being more male smokers than female. (yes, smoking is the number one cause of lung cancer, and unfortunately, the statistics show that women are catching up to men in this department). Ironically, even as unwitting puffers draw deep breaths of the noxious, addictive fumes, the cancer growing rapidly in their lungs works actively to interfere with its functions, causing shortness of breath, wheezing, fatigue, and coughing up of blood. If left unchecked, the rebellious cancerous cells will spread to other parts of the body with deadly intent. Lung cancer is a silent killer, staying hidden even as it devours the lungs, starving the body of life-giving oxygen and eventually leading to other complications like a heart attack or stroke. Let’s take a deeper look at this rampaging strangler that took the lives of 1.59 million people worldwide in 2012 alone. Cells in our body have a regulated growth and death cycle, that is, they divide to produce new cells and die when they are worn out or damaged. Cancer begins when some cells change and mutate into abnormal cells. These rogue cells stop functioning as before and start multiplying uncontrollably. They crowd out normal cells, destroying healthy tissue around them and preventing organs from functioning properly. If you picture your lungs as a garden, normal cells as plants, then cancerous cells are the unwanted weeds. These out-of-control ‘weeds’ cluster together, forming a mass known as a tumour. And tumours come in two varieties. If you ever develop one, pray that it is a benign tumour that can be removed and does not spread to other parts of the body. Alarm bells however will start ringing when the evil twin, malignant tumour, is discovered. Malignant tumours are dangerous because they can grow uncontrollably large and affect the surrounding tissue. For example, a growing tumour in the lungs can block a major airway and prevents parts of it from breathing. Just as alarming, malignant tumours can spread to other parts of the body, setting off new ‘tumour bombs’ and multiplying the havoc, headache and pain for both the patient and attending doctors. It is perhaps fortunate that cancer cannot ‘jump’ from one person to another. It can however start at one small part of the body and subsequently spread all over its victim. 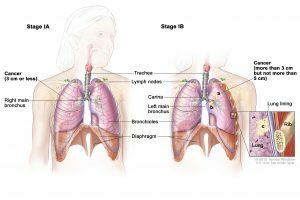 Lung cancer in particular tends to spread very early after it forms and is one of the most difficult cancers to treat. Like the explosion of germs that occurs when someone sneezes, malignant tumours too can ‘sneeze’ and unleash a flood of cancerous cells that enter the bloodstream or lymphatic system. These deviant cells travel to distant sites in the body and start new tumours, a process called metastasis. Certain locations like the adrenal glands, liver, brain and bones are the most common sites for lung cancer metastasis. Many factors can influence your risk of developing lung cancer. The dominant reason why most people contract this disease is, surprise surprise, smoking. 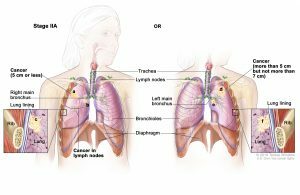 However, there are other causes of lung cancer too which you may find actually surprising, and we’ll go through them below. The wispy trails of smoke, snaking up lightly from a glowing cigarette, dancing bewitchingly in the air, leaving behind eyes alight with pleasure, addictive, and perhaps surrounding the smoker in an aura of cool. Smoking may be an acceptable past-time within your circle of friends, but the generous helpings of smoke you consume every day is as deadly as it is satisfying. Tobacco smoke is an evil cocktail of over 4,000 chemical compounds, many of which are cancer-causing (carcinogenic). The primary carcinogens in tobacco smoke are the chemicals nitrosamines and polycyclic aromatic hydrocarbons, the ‘oxygen’ that breathes cancer cells to life. Smoking is by far the leading risk factor for lung cancer. In fact, about 80% of lung cancer deaths are attributable to smoking. The more packs you consume a day and the longer you smoke, the greater your risk. Low tar or ‘light’ cigarettes are just as dangerous, and as for menthol ciggies, the risk may be higher as menthol allows you to inhale more deeply. What if I smoke pipes or cigars? The risk is still there but not as high as with cigarettes. 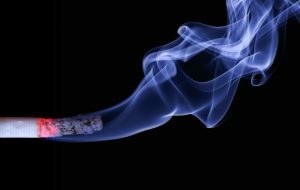 Someone who smokes a pack of cigarettes a day has a risk of developing lung cancer that is 25 times higher than a non-smoker, while pipe and cigar smokers have a risk that is 5 times higher than a non-smoker. And second-hand smoking? Even if you don’t smoke, you’re still at risk. Non-smokers who reside with a smoker have a 24% increase in risk for developing lung cancer. More than 7,000 deaths from lung cancer are thought to be caused by second-hand smoke. What’s that? Never heard of it? Radon is a radioactive gas that forms naturally in soil and rocks. It is invisible – you can’t see, smell or taste it. And yet it’s around you, travelling up through soil and entering your home through gaps in the foundation, pipes, drains or other openings. Radon is one of the biggest causes of lung cancer after smoking, and the risk from radon increases for smokers. If you’re concerned about this gas in your home, there are ways to test for it and lower its levels. 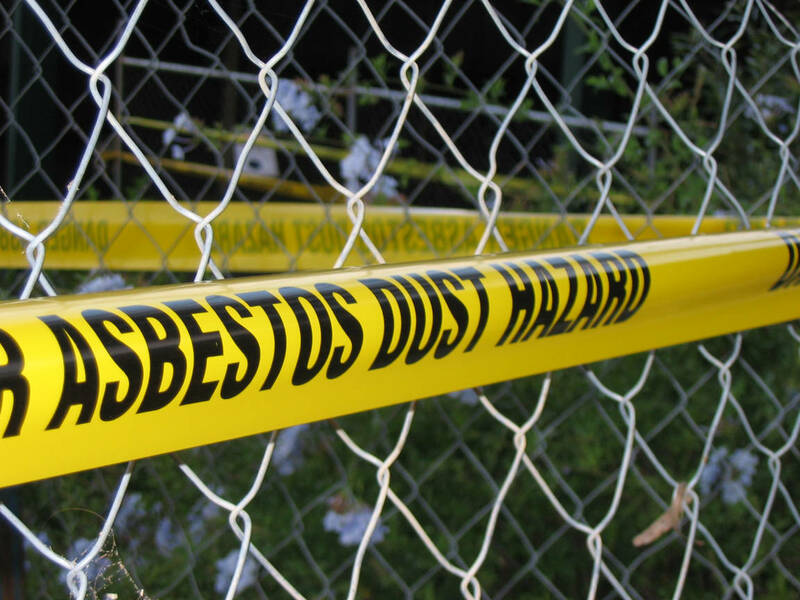 Those who work in typical offices may not have much to fear from substances like asbestos, arsenic, chromium or tar. 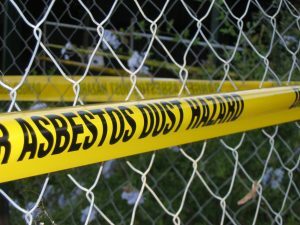 But if you do know someone who works at a shipyard, mine, construction or textile plant, you may want to warn them of their higher risk of contracting lung cancer. Professional drivers too have a higher risk due to diesel fumes. You might have your mother’s eyes or your dad’s nose. Unfortunately, you could also inherit your family’s history of lung cancer. 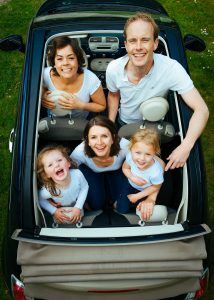 If a family member has had the disease, your own risk is increased particularly if that cancer occurred at a young age. The risk becomes greater if a brother or sister has lung cancer. Furthermore, you are at greater risk of developing another tumour if you have had lung cancer before, or even other lung-related diseases like tuberculosis. Previous exposure to radiation therapy to the chest also elevates your risk. The risk is a lot smaller than smoking, but breathing polluted air may raise your risk for lung cancer slightly. Some researchers estimate that 5% of all lung cancer deaths worldwide may be due to outdoor air pollution. Exhaust from vehicles and gaseous emissions from industry and power plants can contribute to air pollution. 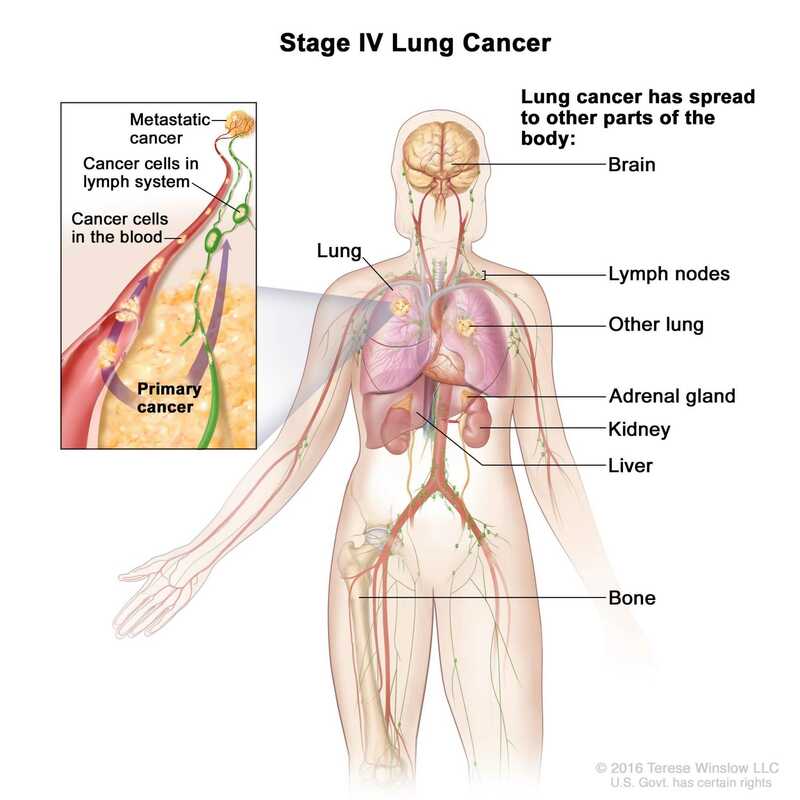 The danger with lung cancer is that it usually doesn’t cause any symptoms until it has spread. There are very few nerve endings in the lungs which means a tumour can grow without pain or discomfort. And if there are symptoms, lung cancer displays a talent for disguise; the signs can often be mistaken as being caused by something else. It’s insidious, deadly and capable of masking its tracks. You couldn’t ask for a more effective assassin. 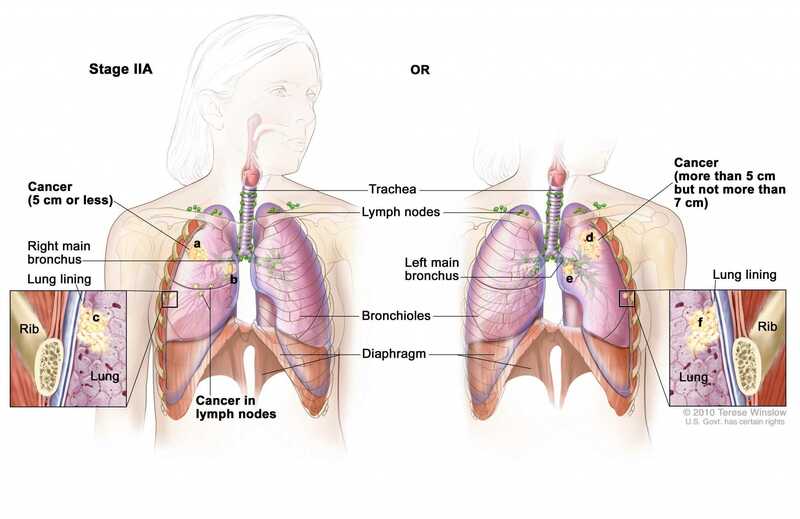 Lung cancer comes in two main varieties, Non-Small Cell Lung Cancer and Small Cell Lung Cancer. About 80% of lung cancers are of this type. 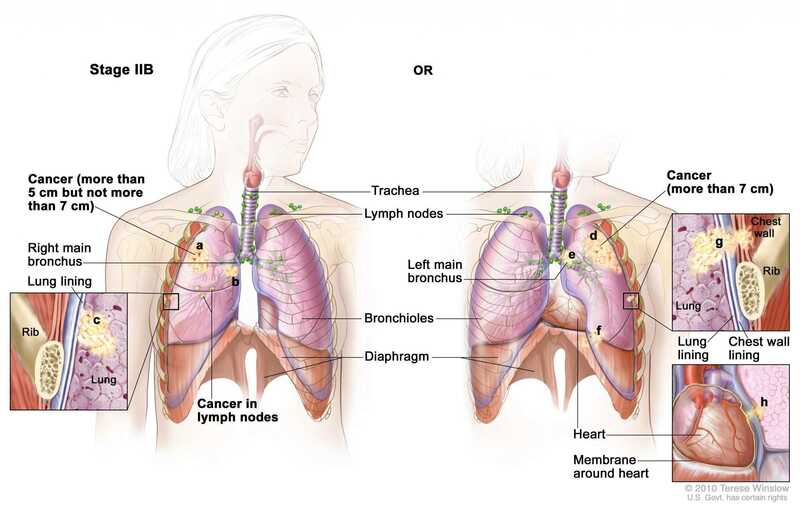 NSCLC itself consists of different subtypes, which start from different types of lung cells. Each type grows and spreads in different ways. Making up about 40% of all lung cancers, adenocarcinomas begin in mucus-secreting cells, usually in the outer parts of the lung. It can occur in both former and current smokers, is more common for women and likely to occur in younger people. 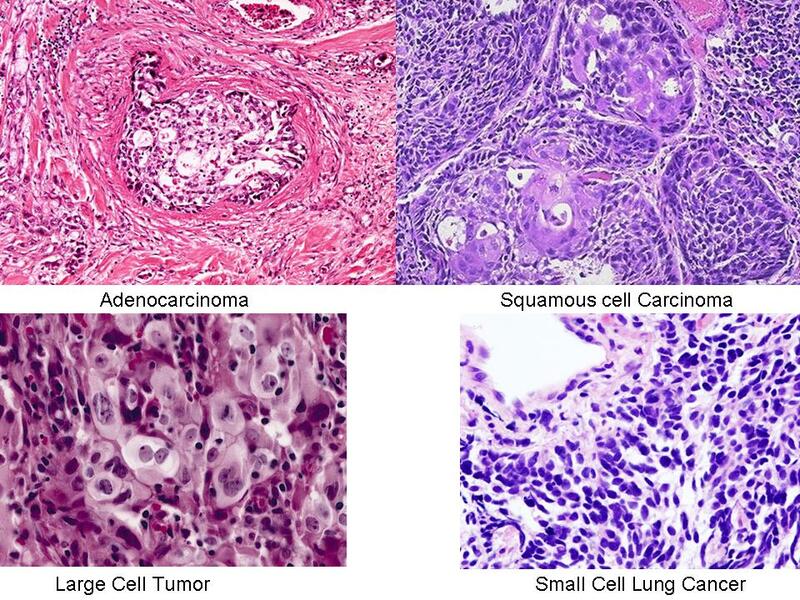 Adenocarcinoma tends to grow slower than other types of lung cancer. 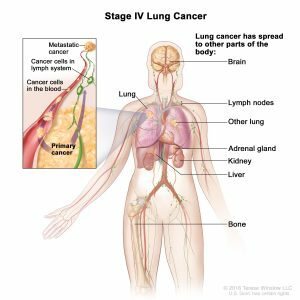 Accounting for about 10% – 15% of lung cancers, large cell carcinoma can appear in any part of the lung, grows and spreads quickly and is harder to treat. 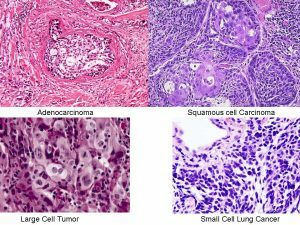 Other less common sub-types of NSCLC are adenosquamous carcinoma and sarcomatoid carcinoma. These type of tumours are uncommon and tend to grow slower than other types of lung cancers. Classified as typical or atypical carcinoids, they are made up of special kinds of cells called neuroendocrine cells. Like the human body, cancer develops in size and strength through various stages. It usually starts out small and quiet, almost undetectable. Lung tumours for example can grow for a long time before they are found, due to the size of the lungs. If left unchecked, tumours can become large, causing various health complications and eventually invading the rest of its host like an angry swarm of bees. If a person is diagnosed with cancer, treatment can begin once the development stage of the cancer is determined. Staging is important to identify the location of the cancer, its size, and whether the cancer has spread to other parts of the body. This step is essential as doctors can only decide on the best therapy based on cancer stage. Staging may involve several tests, including laboratory tests (blood chemistry), X-rays, CT scans, bone scans, MRI scans and PET scans. There are two different staging systems in general use, the Number System and TNM system. This system describes the stages of cancer using numbers from zero through four (Roman numerals are used), from early stage of cancer to advanced stage. 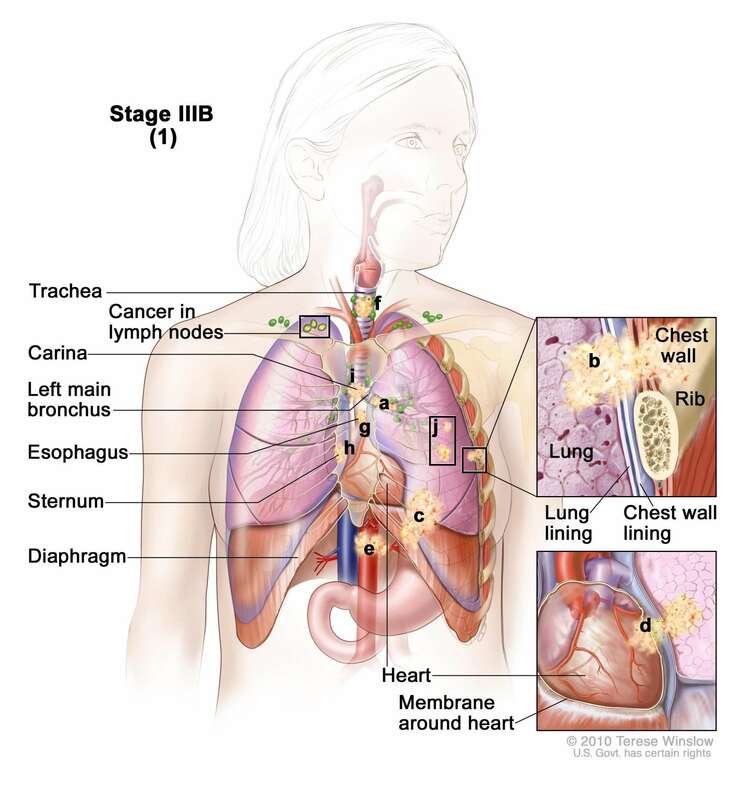 Cancer at this stage is called in-situ (in place) and has not invaded nearby tissues or spread beyond the lung. At this stage, the cancer is a small tumour (3 – 5cm) that has not spread to any lymph nodes. It is possible to remove the tumour completely if the patient is healthy enough. A tumour at this stage has grown larger (5 – 7cm) and may have spread to nearby lymph nodes or invaded other areas like the bronchus or diaphragm. This type of tumour may be possible to remove through surgery. Cancer at this stage may involve a tumour larger than 7cm and have spread to the surrounding lymph nodes, heart, main bronchus, diaphragm or other areas. The patient will usually need a combination of at least two treatments, such as surgery, chemotherapy or radiation. 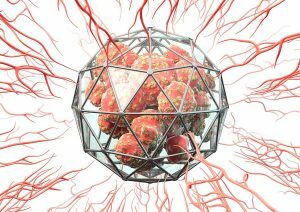 A ‘fully-grown’ cancer that has spread to both lungs, the fluid surrounding the lungs or heart and to distant parts of the body via the bloodstream, but more likely to infect the brain, bones, liver and adrenal glands. At this advanced stage, surgery is generally not a viable treatment option. 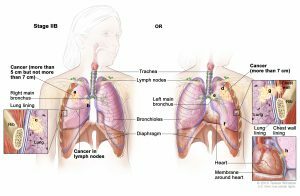 Lung cancer can also be impossible to remove if it has spread to the lymph nodes above the collarbone, or has grown into vital structures within the chest like the heart, large blood vessels or main breathing tubes leading to the lungs. 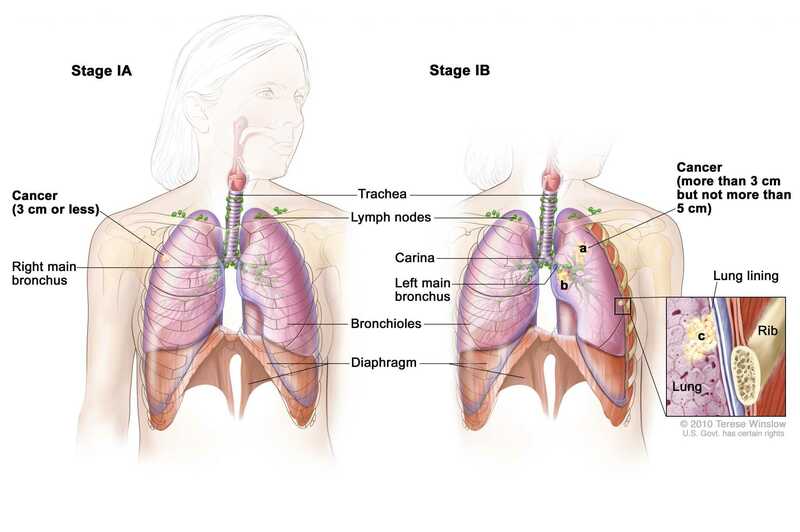 Where the cancer is found on one side of the chest in only one part of the lung and nearby lymph nodes. The cancer has spread to other regions of the chest or other parts of the body. Using numbers from N0 – N3, this indicator specifies how far the cancer has spread to the lymph nodes within the chest area. Using numbers from M0 – M1, this indicator specifies how far the cancer has spread in both lungs, the heart and other parts of the body like the liver or bones. So you think you might have cancer? The only way to be sure is for your doctor to order a series of tests, as cancer cannot be diagnosed by examining the symptoms alone. These tests include medical history, imaging tests, laboratory tests, biopsies and molecular tests. He will also look for symptoms like a cough, shortness of breath, weight loss, headache or leg pain. Other warning signs are swollen lymph nodes, lung infection, bluish skin and changes in the tissue of nail beds. 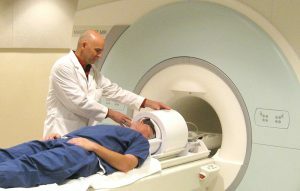 The doctor will use a series of imaging tests to create a clear picture of the inside of your body. While they cannot confirm the presence of lung cancer, the tests provide a lot of information such as the possible location of tumours, how far the cancer has spread, to check if treatment has been effective and to monitor signs of recurring cancer. The X-ray is often the first step used to check for the presence of tumours. A chest X-ray takes pictures of the bones and organs in the chest, and does expose you to a little radiation. While this test may reveal suspicious areas of the lungs, it cannot determine if those areas are cancerous. 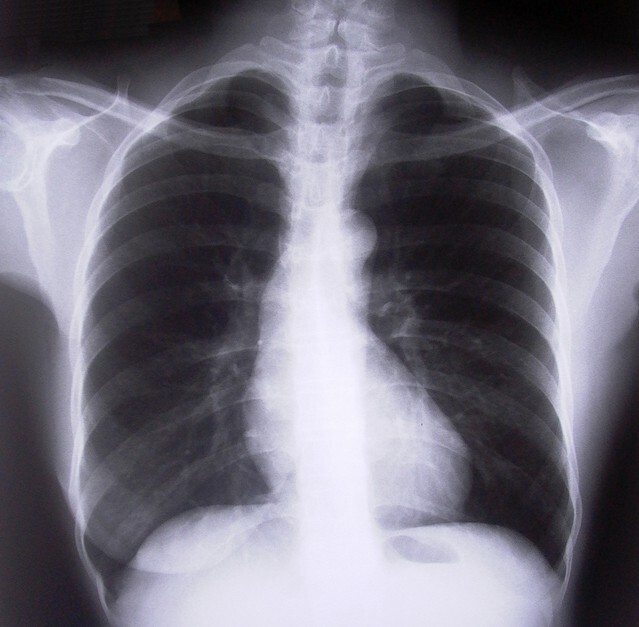 In addition, chest X-rays may often miss small lung cancers in its early stage. 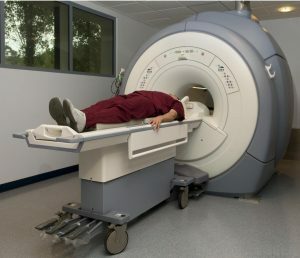 A CT scan involves the use of a computer hooked up to an X-ray machine to create detailed pictures. Unlike an X-ray, a CT scanner rotates around the patient, taking multiple pictures to create three-dimensional (3D) views of organs and tissues. The results of a CT scan will give the doctor information about the size, shape and position of masses or nodules in the lung. It can also reveal signs that cancer has spread to other parts of the body like enlarged lymph nodes or masses in other organs. Further tests however are required to determine if those growths are indeed cancerous. 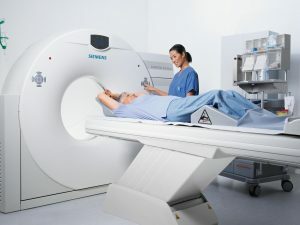 Before a CT scan is performed, a contrast solution or dye may be given to the patient orally or intravenously to help produce clear pictures of bodily organs and blood vessels. You may experience slight side effects from this solution like itching, a rash or hives. MRI is most often used to find out if a lung cancer has spread to the brain or spinal cord. It provides detailed pictures of areas within the body using radio waves and strong magnets, sometimes with the help of a contrast dye injected intravenously prior to the MRI. MRI scans can take up to an hour and patients are given earplugs because it’s a noisy procedure. While there are no known side effects or radiation exposure, patients with heart pacemakers, metal implants and artificial heart valves cannot undergo an MRI as the magnets used may move metal parts of these devices. If CT and MRI scans look at anatomical structures, PET scans measure metabolic activity and the function of tissues. The scan can determine if a suspected tumour is growing and the type of cells it consists of. If you were to undergo a PET scan, you would be given a form of radioactive sugar intravenously. Cancer cells absorb more of this sugar than healthy cells. About an hour later, you would be placed under the PET scanner for 30 minutes while a special camera creates pictures of the areas of your body that absorbed radioactive sugar. A PET scan can only check if an abnormal area on your chest might possibly be cancerous, and whether the cancer has spread to other parts of the body. Further tests are required to be sure. If the doctor suspects that lung cancer has spread to the bones, he will order a bone scan. The procedure is similar to a PET scan, where radioactive material is injected into the bloodstream and eventually collects in the bones, particularly in abnormal areas like those infected with cancer. After a few hours, the patient will then be scanned by a camera that detects radioactivity in the bones to produce a picture of the skeleton. These tests done in a lab can help a doctor form a more comprehensive picture of the presence and spread of cancer in a patient’s body. 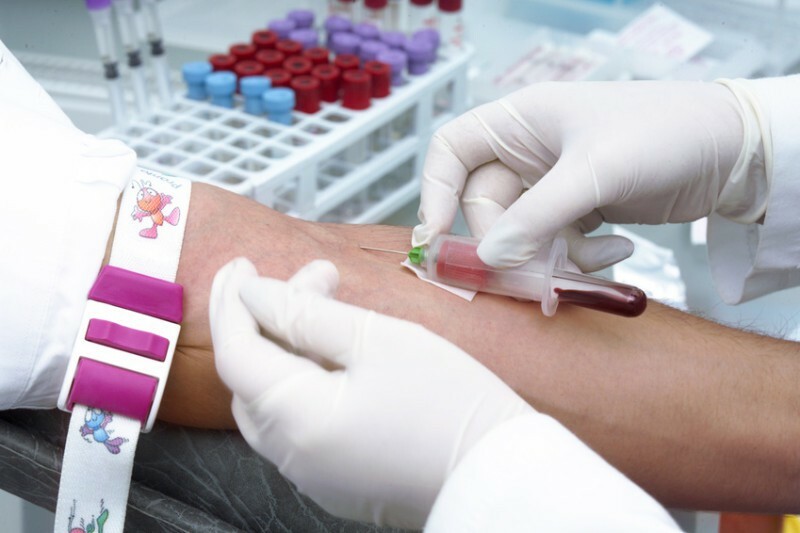 Blood tests can provide information of the patient’s overall health and how well the bodily organs are functioning. Additionally, blood chemistry tests can determine if a patient’s liver or kidneys are working well. Based on all the test results, the doctor can decide if a patient is able to undergo surgery or receive another type of lung cancer treatment. Even if symptoms and X-ray result point suspiciously to cancer, confirmation of malignant cells by a pathologist is required. 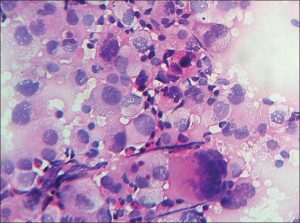 With sputum cytology, a patient will be asked to cough up phlegm for examination under a microscope. The pathologist can locate cancer cells in the mucus, particularly for lung cancers that start in the major airways of the lung. 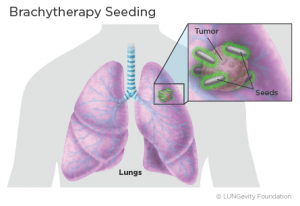 Even though this method is the most risk-free and inexpensive tissue diagnostic procedure, it’s not completely reliable as cancer cells will not always show up in sputum. Furthermore, non-cancerous cells may sometimes change and appear like cancer cells in reaction to inflammation or injury. This method involves removing small amounts of tissue for examination by a pathologist. The results can confirm the presence and type of lung cancer, and if it has spread to other parts of the body. 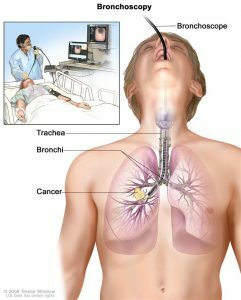 With this procedure, a bronchoscope (thin, flexible tube) is inserted into the patient’s mouth or nose, down the trachea and into the lungs. This tube is equipped with a light and camera to search for abnormal areas. Using tiny tools, the surgeon would take tissue samples to be examined for cancer. This is obviously an uncomfortable procedure, and is performed under sedation or anesthesia. While bronchoscopy is a relatively safe procedure, some patients may cough up dark-brown blood for a few days after the procedure. This procedure is particularly useful if the tumour is located at the periphery of the lungs and not accessible via bronchoscopy. 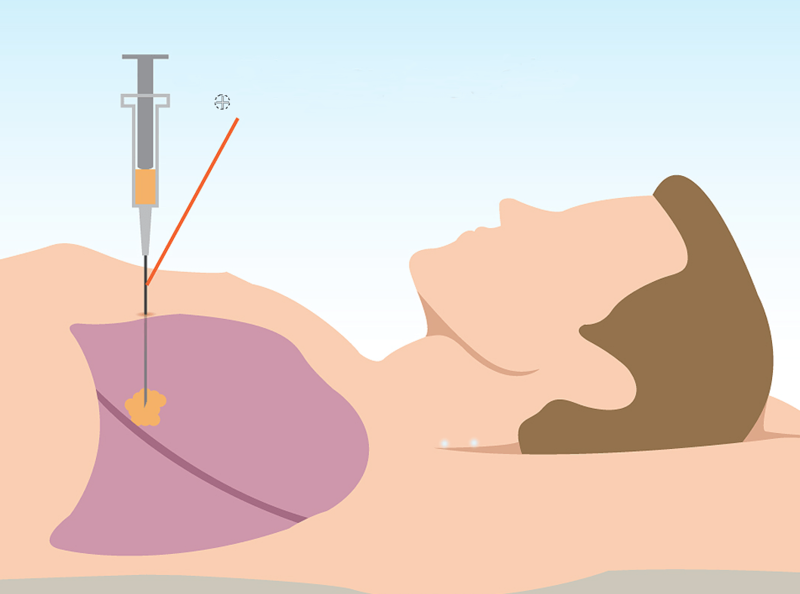 After local anesthetic has been applied, a needle will be passed through the chest wall with CT or ultrasound guidance. A sample of the suspicious mass is sucked out and examined for cancer cells. This biopsy does not require surgical incision, but there is a small risk that air could leak out of the lungs, a condition called pneumothorax which can be easily treated. 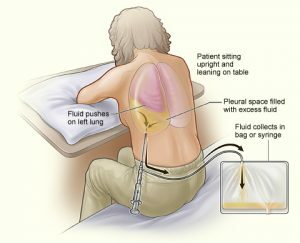 If cancer has spread to the lining of the lungs (pleura), it could lead to fluid accumulating in the space between the lungs and chest wall (pleural effusion). To investigate this condition, a doctor would numb the skin and insert a hollow needle between the ribs to drain the fluid, which would be checked for cancer cells. 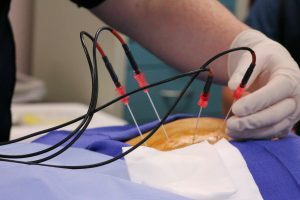 If bronchoscopy or needle biopsy procedures do not yield conclusive results or are unsuccessful, the doctor will employ surgical methods that must be carried out under general anesthesia. Thorascopy – an incision in the chest wall is made and a special instrument with a small video camera is inserted to examine the lungs and inside of the chest. Sample tissue is removed for further examination under a microscope. Mediatinoscopy – a probe is inserted through a surgical opening to examine the chest cavity between the lungs and sample tissue is removed for further examination. This procedure is performed for certain kinds of lung cancer to provide information on whether there are changes in the cancer cells that can be targeted with specific drugs. Unfortunately, cancer isn’t like the flu or sore throat. You can’t take a few pills and liquids to make it go away. Well not yet anyway. After consulting your doctor and considering your options, the ultimate decision of which treatment to undergo lies with you. In fact, some patients refuse treatment, usually because there is little hope for recovery when cancer is in the advanced stages or patients simply don’t want to endure the ordeal of cancer treatments. In those cases, the doctor may suggest hospice care to help manage pain and focus on quality of life. Otherwise, your main treatment options are surgery, chemotherapy and radiotherapy. They may be used alone or together, depending on the cancer stage. The most common treatment for this cancer is chemotherapy, and sometimes radiotherapy may also be used. Surgery is possible, but only if the cancer has not spread to the lymph glands in the centre of the chest. This is rare, because this cancer has usually spread by the time it is diagnosed. Depending on the stage of this cancer, a combination of surgery, chemotherapy or radiotherapy may be used. Those in the advanced stages of this cancer can count on biological therapy. Let’s have a look at your treatment options in more detail. If you are healthy enough, you can opt for surgery if the tumour has not spread within the chest or other parts of the body, and can be completely removed safely. During the operation, tissue surrounding the tumour and nearby lymph nodes will also be removed to check for cancer and determine if further treatment is necessary. 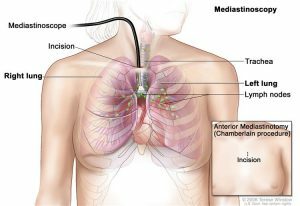 Lung cancer surgery is complex with possible serious consequences, which is why it is done by a thoracic surgeon who is specially trained for this operation. A patient could also undergo chemotherapy and radiation to remove any small amount of cancer that was not detected and removed during surgery. There are different types of surgery your doctor could recommend depending on how well your lungs are working. A lobectomy involves the removal of one of the five lobes of the lung. It is the most effect type of surgery even for very small lung tumours. If the tumour is very small, or if removing an entire lobe of the lung is dangerous, the surgeon will only remove the tumour and a small rim of tissue surrounding it. 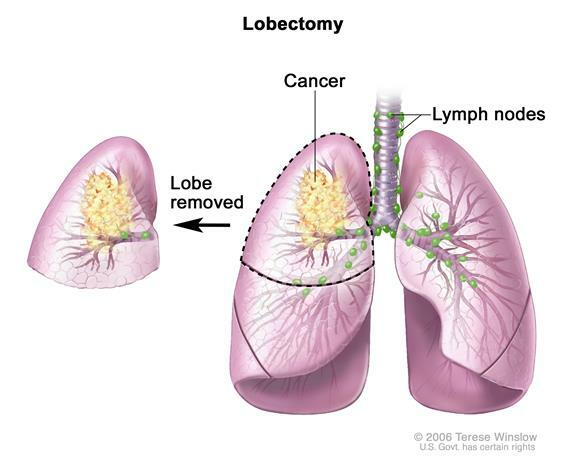 Here, one of the small segments between the lobes of the lung that is cancerous is removed. Like a wedge resection, this treatment is suitable only for small tumours or those with conditions that make whole lobe removals dangerous. If the tumour is very large or close to the centre of the chest, the entire lung will be removed. For tumours that involve large airways, the tumour and a portion of the airway are removed. The ends of the airway are then rejoined so that the remaining lobes can be left in place. The surgeon has a few methods at his disposal to perform lung cancer surgery. With the patient under general anesthesia, the surgeon will make an incision between the ribs on the side of the chest or on the back to examine the lung and remove cancerous tissue. After the procedure, the patient will have a tube coming out of the chest to drain excess fluid and air while the lung heals, and will be removed eventually. This procedure is also known as Video-assisted Thoracic Surgery (VATS). A thin tube with a light and tiny video camera is inserted into the chest. Guided by the images transmitted onto a television monitor, the surgeon can look freely inside the chest and remove cancerous tissue. Because only small incisions are needed in a VATS, post-surgery pain is less and recovery is generally faster. In this procedure, robotic arms are used to maneuver surgical instruments, and are controlled by a doctor sitting at a control panel. Robotic surgery requires special training and expertise, and the results are similar to VATS operations. This will depend on the type of surgery performed, your overall health before surgery and lung function after surgery, and any post-surgical complications. You may experience pain in your chest and back for several weeks, depending on the type of surgery done and size of the incision. You may also suffer from neuropathy. Your doctor will prescribe appropriate pain medicines. During the surgery, the surgeon will place one or more chest tubes to drain your lungs of excess fluid, blood and air. These tubes will be connected to a suction machine and will be removed a few days after the operation. Will I be able to breathe properly? You may need to go for physical therapy about a month after surgery to help you overcome muscle atrophy and regain strength in your shoulder and arm. With radiation therapy, doctors use high-powered energy beams like X-rays to damage the ability of cancer cells to multiply. These rogue cells are then naturally eliminated by the body when they die. This technique only kills cancer cells directly in the path of the radiation. The beam however also damages normal cells in its path, which is why extra care is taken when applied to sensitive organs. 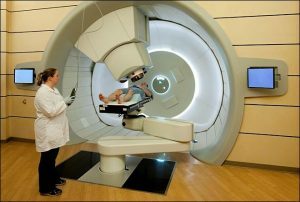 Radiation therapy is administered by a radiation oncologist, a doctor who specializes in using radiation treatments to treat cancer. You can receive this treatment via two main methods, External Beam Radiation Therapy (EBRT) and Internal Radiation Therapy (Brachytherapy). This technique applies radiation beams at cancerous cells from outside the body. 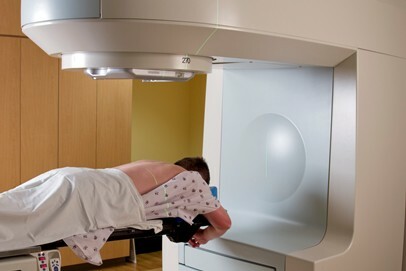 Your radiation oncologist will take careful measurements to determine the proper dose of radiation and the correct angles for aiming the beams. It’s similar to getting an X-ray, but although the dose is stronger, it’s usually painless. Radiation therapy sometimes requires that the patient be fitted with a body mold to restrict movement; you have to be very still to avoid getting irradiated in unnecessary areas. A CT or MRI scan is performed to locate the tumour and surrounding organs. 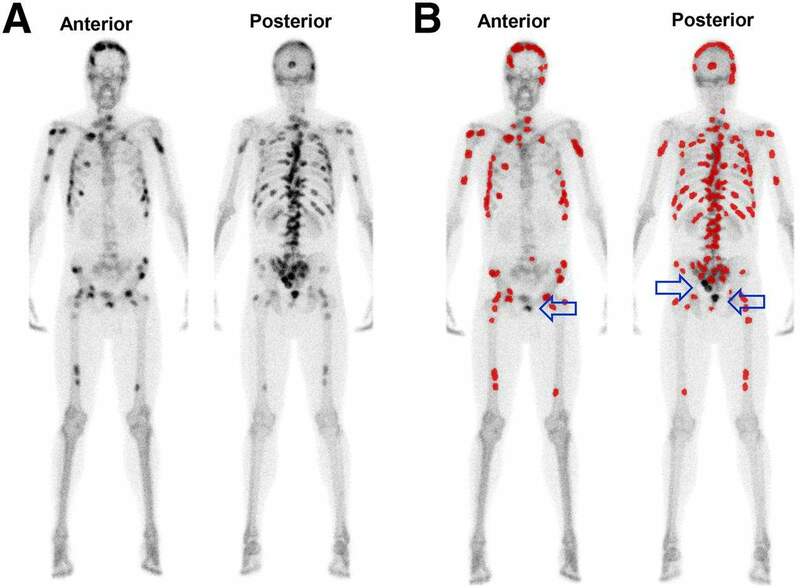 Tiny dots will be placed on the skin to help in positioning and MRI or PET simulator technology may be used to more precisely and safely target cancer cells. Then one or more beams will be applied on cancer cells. 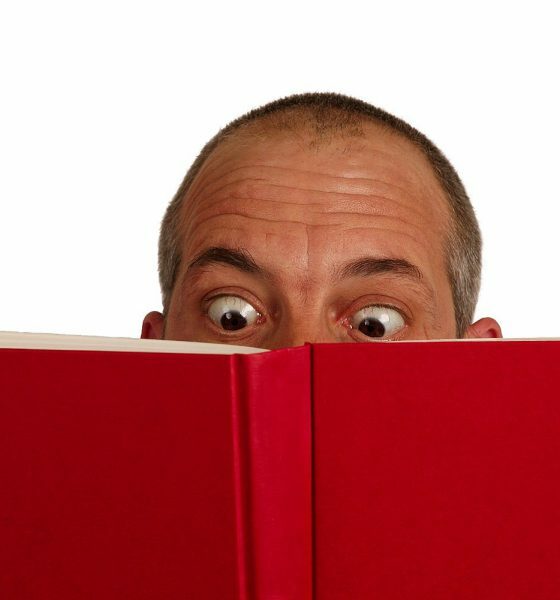 Standard EBRT is used less often now because there are newer techniques that produce greater accuracy, success rates and less side effects. Using computers for greater precision, radiation beams are shaped and aimed at a tumour from several directions to lower the likelihood of damaging normal tissue. 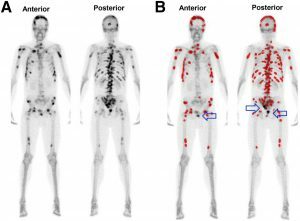 An advanced form of 3D therapy, IMRT varies the intensity of each radiation beam, allowing precise and higher doses for cancerous cells while protecting surrounding normal tissues. IGRT is a specialised form of IMRT that uses sophisticated imaging tests to locate tumours before and during irradiation, resulting in safer treatment and less side effects. This technique is used for non-small cell lung cancer. 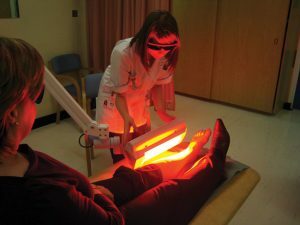 This treatment uses Image-Guided Radiation Therapy (IGRT) with even more advanced techniques to precisely deliver high doses of radiation to tumours while avoiding surrounding healthy tissue. An SBRT course can be completed in just 2 – 5 treatments. 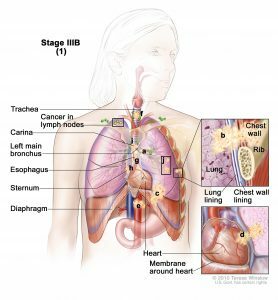 SBRT is sometimes used for early stage Non-Small Cell Lung Cancer if surgery isn’t an option due to the patient’s health or refusal. It’s used for small tumours that are confined to the lung. SBRT is painless, needs no anesthesia and has fewer side effects. This technique uses protons instead of X-rays to treat cancer. Advantages of using this form or treatment include reduced radiation damage to healthy tissues and allows higher radiation doses for certain tumours with possibly less side effects. Proton therapy is expensive however, requires specialised equipment and is not covered by all insurance companies. Instead of external radiation beams, brachytherapy applies treatment inside the body. Radioactive material (small pellets or seeds) are placed directly into cancerous tissue, usually during bronchoscopy or surgery. The radiation beams are short, limiting damage to surrounding healthy tissue. This radioactive source can be removed after a short time, usually several minutes for a high dosage or a few days for low dosage. It can also be left permanently as the radiation gets weaker over time before being fully absorbed. Most of these side effect will disappear after completion of treatment although some can last a long time. Your doctor can prescribe drugs to help ease your discomfort. 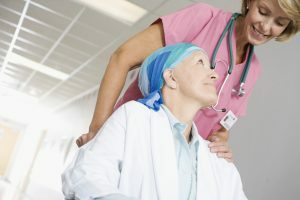 If you are a cancer patient, chemotherapy may seem like a less alarming treatment option than say, surgery or radiation. 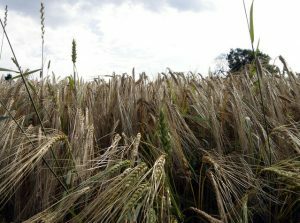 It’s a well-known and common form of cancer treatment, having been in use for many years. 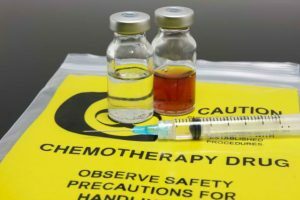 Even with the advent of new cancer treatments, chemotherapy is still an important tool and can be used together with more recent techniques to make them more effective. Chemotherapy uses special drugs to target cancerous cells in your body that are dividing uncontrollably and rapidly. The goal however is not always to cure cancer completely. That will depend on the type and stage of cancer, and the overall treatment process prescribed by your doctor. Depending on the type and stage of cancer, chemotherapy drugs can be delivered via the mouth, a vein, through the skin or in a muscle. This is called systemic chemotherapy because the drugs travel throughout the whole body in the bloodstream, striking at cancer cells whenever they meet. If the drugs are placed directly into cerebrospinal fluid, an organ or body cavity, it’s called regional chemotherapy as the drugs mainly affect cancer cells in those areas. Chemotherapy may use a combination of drugs given over a treatment cycle that generally lasts 3 weeks. Treatment can continue for a few months or indefinitely, depending on the patient’s improvement and health. 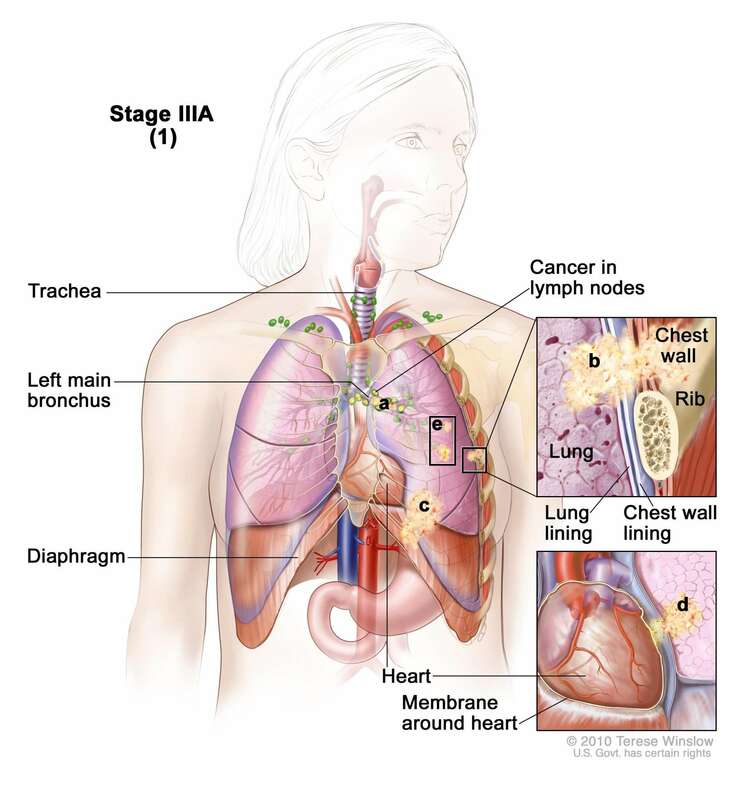 The decision to administer chemotherapy depends on the type and stage of lung cancer. It can spread beyond the lungs in the early stages, and chemotherapy is the best option for treating cancer that has metastasized. 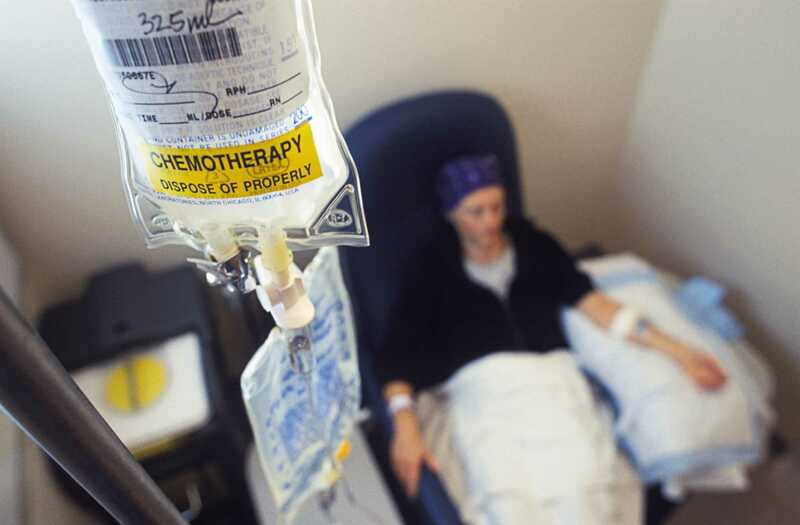 Chemotherapy can be used as the main treatment along with other methods. Where chemotherapy is administered to kill small, unseen cancer cells left behind after surgery. Used to shrink a tumour for easier removal via surgery. Where chemotherapy is given at the same time as radiation therapy. Sometimes, a person with late-stage cancer will be offered maintenance therapy to keep the cancer from growing again, after it has shrunk or stopped growing from the initial chemotherapy. Chemotherapy kills cells that divide rapidly, which include cancer cells and other healthy cells like hair cells, blood cells and the cells lining the mouth and intestines. Unfortunately, chemotherapy drugs are not discriminating and kill both these cancer and normal cells, which causes side effects. If you are about to undergo chemotherapy, it would be a good idea to discuss with your doctor on the kinds of drugs you will be given and their side effects. Different drugs have different effects, but do note that you will not necessarily experience them. Your doctor can usually recommend methods to relieve or prevent side effects. For example, a blood transfusion can be performed if you become anemic and there are multiple medications for nausea. It’s best to treat side effects early on before they become severe. Most side effects go away once treatment is over although some can last a long time. In certain cases the chemotherapy drug doses may need to be lowered or treatment delayed to ease the side effects. The good news is new chemotherapy regimens have fewer side effects. Some of these options may be available at the hospital you are consulting with. Radiofrequency produces electrical energy to heat up tumours and destroy cancer cells. Using a CT scan as a guide, the doctor would insert a small probe through the chest and into the tumour. An electrode in the probe creates radiofrequency energy that produces heat to destroy tumour tissue. 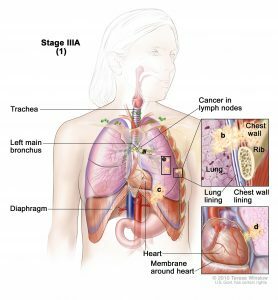 This treatment is suitable for those with Non-Small Cell Lung Cancer in the early stages who can’t or don’t want conventional surgery. It can also be used when the tumour is blocking an airway and causing breathing difficulties. This form of cancer treatment uses light-sensitive drugs to kill cancer cells. The drug is first injected into the bloodstream and collects in cancer cells. 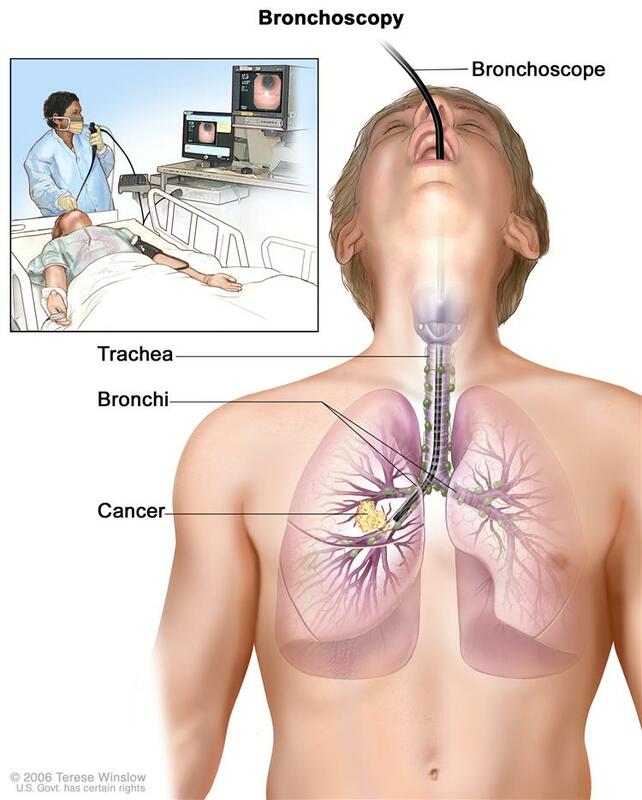 A bronchoscopy is then performed, during which a fibre optic tube is inserted that shines a laser light on the tumour, thereby triggering the drug to destroy cancer cells. This therapy does not cause much damage to healthy tissues, and the side effects are few and usually mild. A characteristic side effect however is that the light-sensitising drug makes your skin sensitive to light for around 6 weeks. 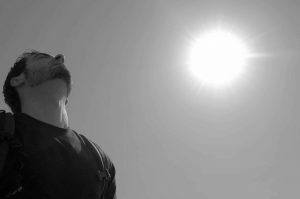 During this period, you should avoid bright sunlight or indoor lights, which can cause your skin to become blistered, red or puffy. This method kills cancer cells by freezing them. For lung cancer, cryotherapy can shrink a tumour blocking an airway, relieving breathlessness and other symptoms such as a cough or chest infection. 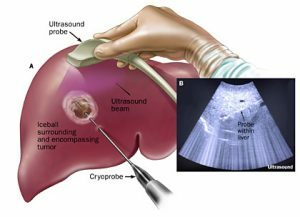 As an example of this method, during a bronchoscopy, the doctor inserts a cryoprobe down the bronchoscope. This probe freezes part of the tumour before moving on to the next cancerous area. Then they remove as much of the tissue as possible using forceps or the cryoprobe. 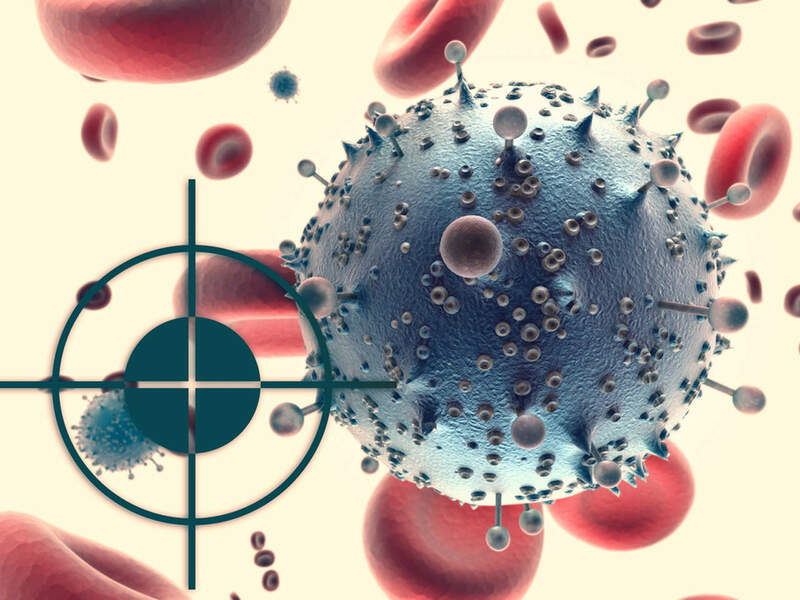 As the name suggests, targeted therapy attacks specific cancer cells, using drugs. As researchers learn more about gene changes in cells that cause cancer, they have been able to develop drugs that directly aim at some of these changes. These drugs lock on to specific parts of cells and signals that proteins send to cells that cause them to grow and divide uncontrollably. If you are considering targeted therapy, your tumour must first be tested for certain mutations. Your doctor will help you decide whether to perform the test based on several factors, including the type and stage of lung cancer. Not all cancers can be treated with targeted therapy, but the situation may improve with continued progress in cancer research. Angiogenesis inhibitors are a type of targeted therapy that work on the blood vessels that feed tumours. All cells in the body, including cancer cells, are supplied with oxygen and nutrients via blood vessels. By targeting the blood vessels of cancer cells, this therapy helps to stop or slow the growth of tumours. It’s most effective when combined with additional therapies, especially chemotherapy. Immunotherapy aims to strengthen the body’s natural ability to fight cancer. It doesn’t fight cancer cells directly but instead trains the immune system to recognise cancer cells and selectively target and kill them. It can do this by enabling the immune system to mount or maintain a response or suppress factors that prevent the immune system response. There are three main types of immunotherapies currently being studied – immune checkpoint inhibitors, cancer vaccines and adoptive T cell therapy. Research is ongoing and drugs are being developed based on the results. The prospect of facing cancer, the pain, and ordeal of treatments may be alarming and daunting. However, you don’t have to endure it alone. The doctor and support staff can provide accurate advice and reassurance during consultation. You may also be able to rely on family and friends to be there, along with support groups and professional services who specialise in helping people with cancer. 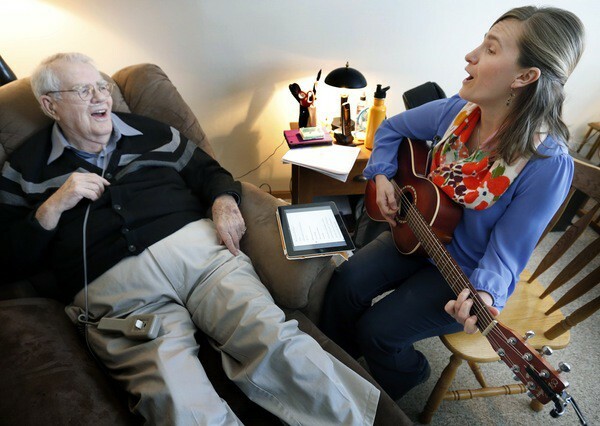 Getting in touch with cancer survivors too can be a great source of hope and comfort. When it comes to the more practical aspects of dealing with cancer, particularly managing pain and side effects, you may refer to health professionals or organisations that provide palliative care and even hospice care. Palliative care helps to improve the quality of life of patients with serious or life-threatening disease. It aims to prevent or treat the symptoms and side effects of the disease and treatment from as early as possible, along with the related psychological, social and spiritual problems. With cancer, palliative care can start from the diagnosis itself, and continue through treatment, subsequent care and the end of life. You can receive help and advice from any medical professional, but there are those who specialise in this type of care. You may be referred to a palliative care specialist who focuses on treating the symptoms, side effects and emotional problems related to cancer. Hospitals often have palliative care specialists whose role is to monitor and attend to the patient’s needs. Cancer care centres too provide such services in addition to programmes and clinics that address specific palliative care issues. You may also opt to receive palliative care at home together with a physician, or at a hospice or long-term care facility. Palliative care focuses on the physical and emotional needs of a patient, and can vary from person to person. It takes into account your age, cultural background and even beliefs. Cancer and its treatment may result in pain, fatigue, appetite loss, nausea, shortness of breath and insomnia. The patient can find relief via medicines or through nutrition therapy, physical therapy or breathing techniques. The thought of facing cancer can cause depression, anxiety and fear. Your care specialist can help by providing resources to expert counselling, support groups, holding family meetings and referrals to mental health hospitals. Worried about the financial, legal or even employment issues that arise with a cancer diagnosis? You palliative care expert can direct you to financial counsellors, help with medical forms and legal advice, and even arrange transportation or meetings with housing agencies. A good palliative care specialist can help you with matters of faith when it comes to dealing with cancer. 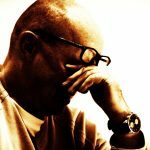 Cancer patients may struggle with questions of why this happened to them, or begin to look for meaning in their lives. A sensitive care giver should be able to help you explore your own beliefs and values, so that you may be able to find a sense of peace or reach a point of acceptance. For cancer patients in the advance stages with a life expectancy of less than 6 months, they can opt for hospice care. There they will find both physical and spiritual comfort, for themselves and loved ones. 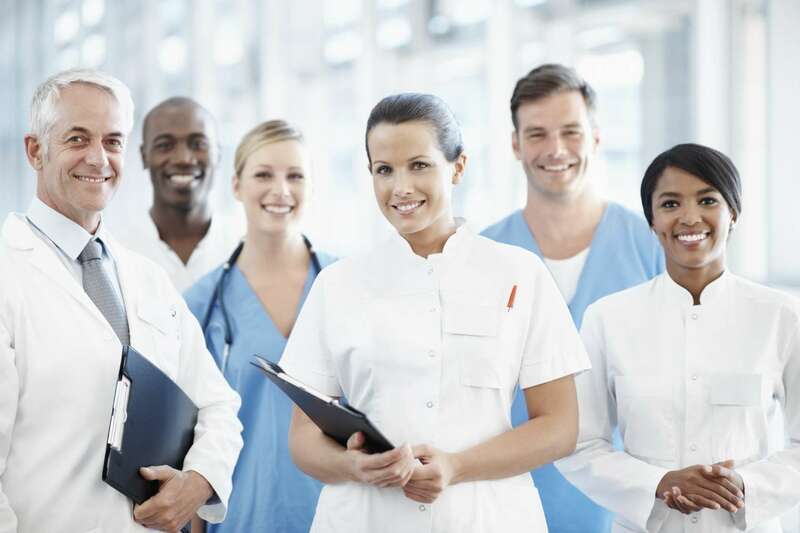 A hospice care team typically includes physicians, nurses, social workers, attendant and even religious members. The services provided is characterised by compassion, helping patients identify what is most important to them, maximising quality time, living life to the fullest and meeting their wishes. Care also focuses on managing symptoms and controlling pain. Hospice care is usually covered by insurance and it is good for patients and their families to understand in advance what their policy covers and what services are available at the hospice. The patient may even opt to have hospice care at home. You may already know someone who has cancer, even someone close to you. You may have asked why, how. 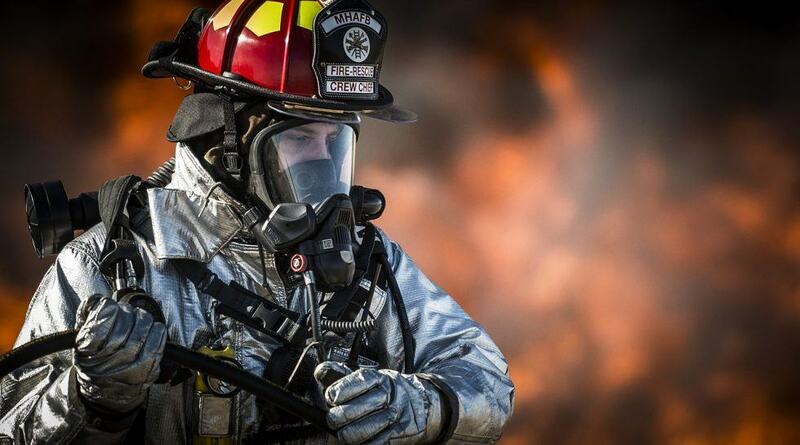 Even living a healthy lifestyle is not a sure-fire protection against this deadly disease. Cancer doesn’t care and does not discriminate. Unfortunately, there is currently no definitive cure for cancer. Even with the best treatment available today, survival is not guaranteed. The best way to protect ourselves is through financial protection. Treatment can cost tens or hundreds of thousands in ringgit, especially if complications arise. That may be unaffordable to many, but with AXA 200 CancerCare, you can stand up to cancer with confidence. Take up the plan that provides comprehensive protection at only RM1.50 per day. 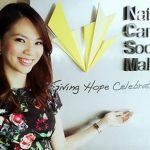 Find out more at https://110cancercare.com/ now!